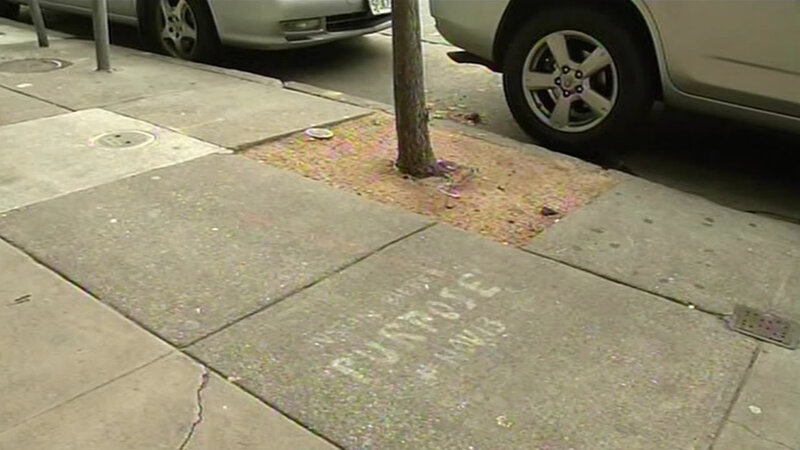 SAN FRANCISCO (KGO) -- San Francisco cleaning crews are hoping their power washers can do what this week's heavy rains couldn't - wash the graffiti promoting Justin Bieber's new album "Purpose" off the sidewalks. The album was released in November but the pop star's guerrilla advertising is still marking some city streets. There's no word yet on what it will cost the city and taxpayers to clean it up.